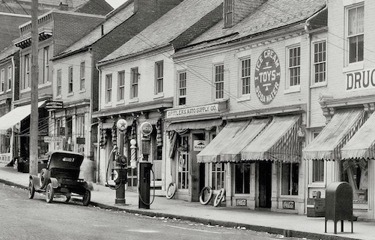 Before covered, drive through filling stations were the norm, curb-side gas pumps were available for fueling up the Model T’s roaming the streets. Fast forward to today, where gas stations are ubiquitous and the electric vehicle charging infrastructure resembles the 1930’s filling capabilities. It’s no mistake that Tesla’s first launch was the Model S – the parallels of a technology that is poised to change the world cannot be overlooked. The all-electric options are limited, but growing. The infrastructure is in its early stages, but projections have it passing gas stations for number of locations by 2020 in many countries. 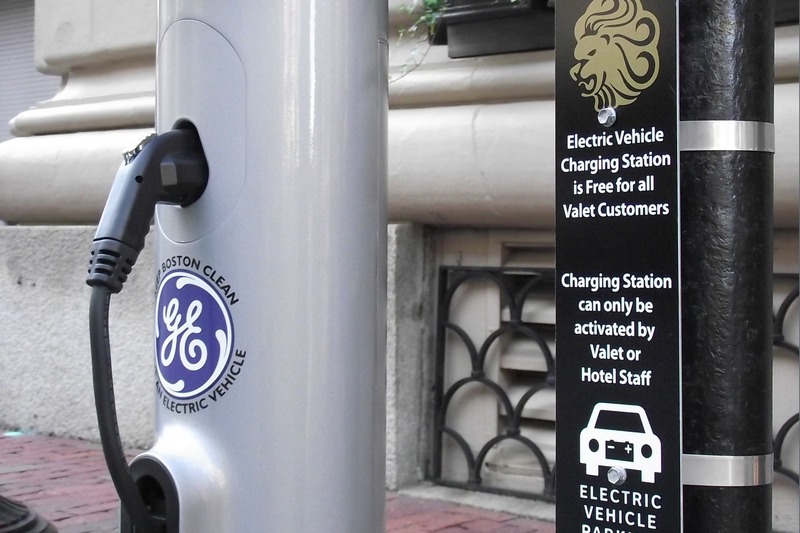 The Lenox Hotel added its first curb-side station in 2011, a universal level 2 unit, and recently complimented it with two Tesla Destination Charging Stations in 2017. 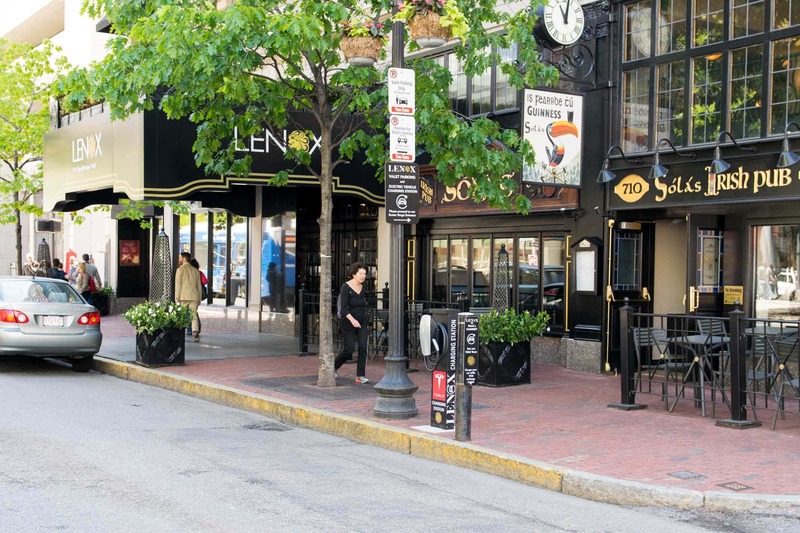 “This wasn’t our decision,” said Daniel Donahue, President of Saunders Hotel Group and General Manager of The Lenox Hotel, “our guests told us to do it.” The first 6 months with the universal station were a complete dud. Picture getting everything set up for a party – music playing, food hot, ice bucket full – and no one shows up. . . But then every month thereafter more and more people showed up. Word got out, more people both in the neighborhood and those driving to Boston started showing up and making use of the universal station. The hotel hosted some cutting edge technology (BMW’s I3 and Tesla’s Model S and Model X), and some bloody edge technology (the discontinued Fisker Karma). But people were using it more and more. 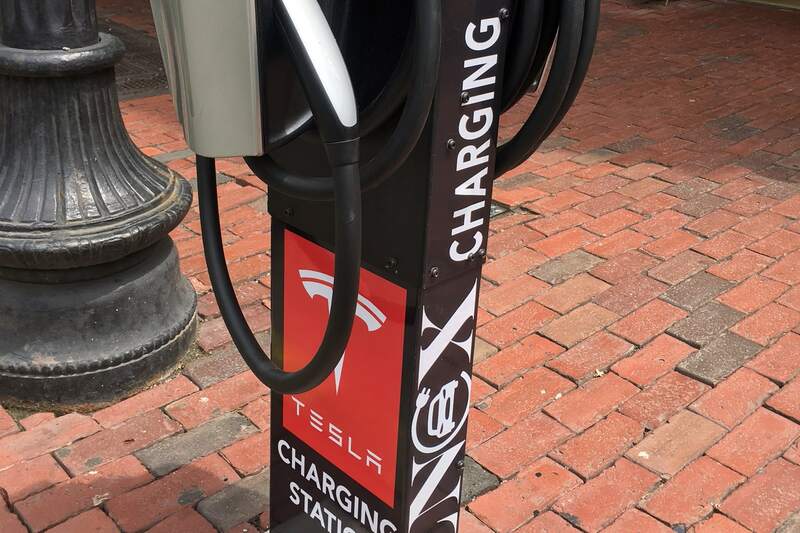 After installing two more charging stations at two of the suburban properties owned by Saunders Hotel Group, the focus turned to Tesla at The Lenox. By far the most frequent car type over the last 5 years to visit The Lenox’s electric vehicle charging station, Tesla was also opening a store just down the road from The Lenox. The dual-headed Destination Charging Station showed up to the party – now in full swing – and opened the doors to the back patio to the DJ and light show! It is entirely possible that the lonely, curb-side charging stations are replaced by infrastructure more similar and ubiquitous to the gas stations we are now used to; that our picture will be as quaint as the two units outside Spitlers Auto Supply Company. But so long as there are people coming to the party – we’ll keep passing hors d’ouerves and playing music. Our guests want it. Heck, we want it! !